Team Blue makes it two out of two! 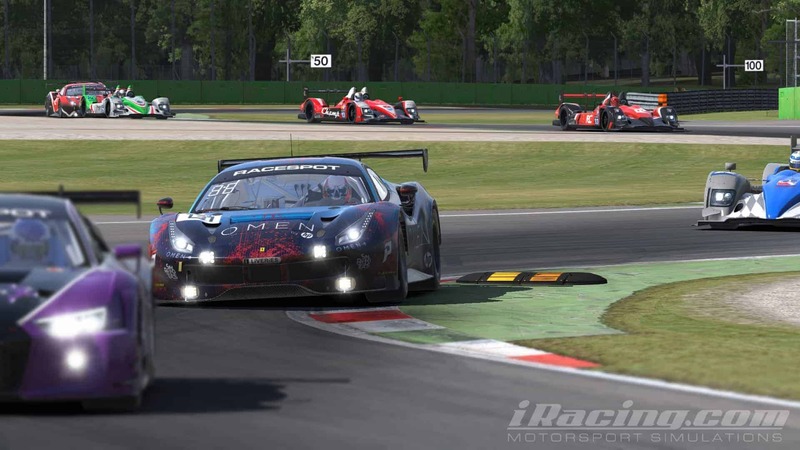 Round Two of the iRacing Sports Car Open was held at the historic Italian temple of speed and home of the Tifosi, namely the Autodromo Nationale di Monza. A strong qualifying effort secured Nestoras a spot on the third row of the GTC grid for the start of the 4-hour race. Traffic management kept both Nestoras but also George Alamaras busy through the entire race and a second-place finish seemed likely towards the end. Vendaval White spectacularly had to dive to the pits for a splash ‘n’ dash in the penultimate lap after exercising a fuel-saving strategy for the entirety of the race. At the end they came out less than a second ahead of Nestoras for the final lap of the race, securing their well-deserved P2, with Core SimRacing winning the race. P3 for Team Blue meant an impressive second podium finish in the series, setting the tone for the races to come. T he other side of the garage saw Team Red dealing with some bad luck after having started in the midfield. Both Andy Perrs and Andreas Arvanitantonis kept it together and brought it home in P9, scoring the first two championship points of the season. Congratulations also go out to the other class winners Thrustmaster Mivano Racing LPD and Vendaval Blue. Watch the whole race on youtube!! !